Apple is hosting an event on September 12, presumably to debut much rumored new iPhone models and perhaps a new Apple Watch and Apple TV too. The September 12 Apple event starts at 10am PST and will be held at their new campus location in Cupertino, California. Selected members of the press were sent invitations to the event today, and Apple has also posted a link for anyone to livestream the event on the web via the Apple Events page at apple.com here. Typically the Apple livestream events webpage requires Safari on a Mac, iPhone, or iPad to watch live. Three new iPhone models are expected to debut at the event, including what rumors are referring to as “iPhone 8” (though it’s likely we’ll see a different name), along with an iPhone 7S and iPhone 7S Plus. It is unknown if the smaller iPhone SE will get an update at the event. The so-called “iPhone 8”, which has colloquially been referred to as the tenth anniversary iPhone, will apparently be a redesigned iPhone model. 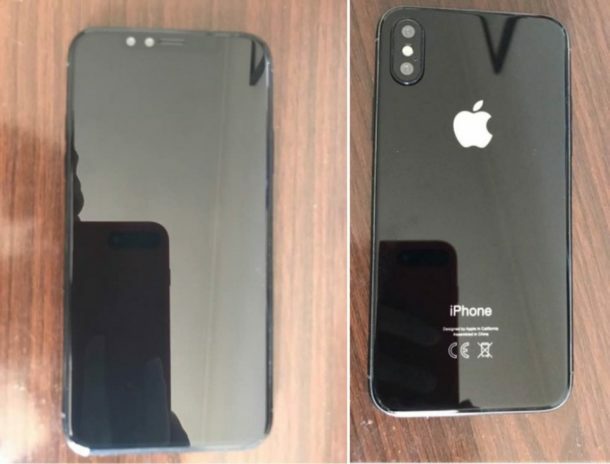 That new device is said to feature a larger screen with smaller bezels to emphasize the display, the removal of a traditional Home Button and the removal of Touch ID in favor of a facial recognition identification mechanism, updated camera hardware, and of course a faster processor and various other features as well. The “iPhone 8” redesigned model is expected to be premium priced, starting notably higher than the standard iPhone 7S and iPhone 7S Plus devices, with some rumors suggesting an $1000 and greater price tag for the new “pro” phone. iPhone 7S and iPhone 7S Plus are expected to largely share the physical appearance of the existing iPhone 7 and iPhone 7 Plus models (which also share the physical appearance of iPhone 6 and iPhone 6s models), but feature updated internal components to make the device faster, and have a better camera. The iPhone 7S and iPhone 7S Plus are largely expected to maintain the same pricing structures as existing iPhone models. These pictures of dummy units are just a few of many that have frothed their way across the Apple rumor mill via twitter and 9to5mac, and with the shear volume of similar dummy units, leaked components, and mockups showing virtually the same design, it’s reasonable to expect the final versions will match closely in appearance. New Apple Watch, new Apple TV? Other rumors suggest Apple will also use the event to release a new Apple Watch with built-in LTE capabilities to have less dependence on a paired iPhone, and a new Apple TV with 4K video support. No new Mac hardware or iPad hardware is expected at the event, though Apple could always surprise everyone. Alongside new iPhone hardware, it’s likely the Apple event will provide an official release date for iOS 11, macOS High Sierra 10.13, tvOS 11, and watchOS 4, each of which is currently in beta testing. Any user can download and install iOS 11 or download macOS High Sierra public beta now if they choose, but beta system software is often buggier and less stable than final release builds. With new system software just around the corner, it’s a good time to review the macOS High Sierra compatible Macs list and iOS 11 supported devices list if you aren’t certain your particular hardware will run the newest operating systems. Previously, Apple has only said that iOS 11 and macOS High Sierra would debut sometime in the fall of 2017. Keep in mind that rumors are just that, rumors. While there’s a fair amount of evidence to suggest new iPhones looking a particular way are to arrive soon, it’s always possible that Apple will surprise everyone and do something entirely different at the event as well. Stay tuned to the news on September 12 to find out exactly what is released! Will it have headphone jack? Mockups suggest no. Disappointing. My biggest wish for iPhone 8 would be to have the headphone jack come back. But Apple is likely to disappoint on that request. So The Dongle continues. 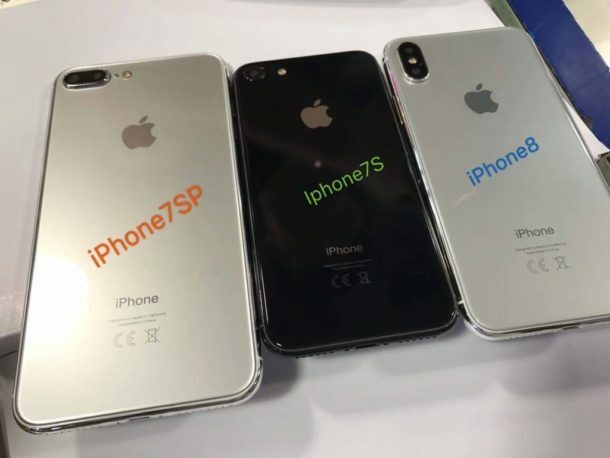 For naming, my best guess is they call it iPhone Pro instead of iPhone 8 and it will cost a fortune, and the iPhone 7S and iPhone 7S Plus remains the same names. Then next year the iPhone 8 will be modeled after this years iPhone Pro. So I’m interested in the iPhone 8 or iPhone Pro or whatever they call it, but I must say I have NO interest in a face scanner! The Touch ID thing I find weird too, what if hackers get this biometric info? Do you want your Phone always scanning your face, finger print, your voice, and who knows what else? Where is that data going and who has access to it? Important questions to ask! I hope the mockups are wrong because those are some ugly phones. The iPhone 4, iPhone 5, and iPhone 1 are still the most attractive iPhones ever made, with iPhone 4 taking the prize. No surprise but Steve Jobs helped design those! Then there is the iPhone 6 era rounded bulbous thing which is just so ugly and it’s hard to believe they are still using it. Also, I wish there was a headphone jack. If the iPhone SE was updated with 256GB storage and a top of the line camera with a headphone jack, I would probably prefer that one at this point. I just want a headphone jack again. So they will take away home button and Touch ID and turn the camera sideways and call it new?? What’s with Apple removing features now and claiming it’s an improvement? Silly. I like home button, Touch ID, and yes headphone port! So much whinning I don’t like this, I want that, I dont want it like this, waaaaa waaaa waaaaaa, ok fine here’s $1000, now please give it me now now now, waaaaaa waaaaaa waaaa.. I see our Czech flag on that Apple logo here. Maybe Siri in Czech soon? Thanks! EXCITED about this! Might be the right time to ditch my iPhone 6S !